MILWAUKEE -- The parents of a Milwaukee toddler who died after ingesting opioids have been charged with reckless homicide in their daughter's death last August, according to a criminal complaint. London Maria Woodson was pronounced dead at Children's Hospital in Milwaukee Aug. 15, just a day before her third birthday. The girl's death was attributed to an acute toxic mix of oxycodone and trazodone, according to the Milwaukee County Medical Examiner's Office autopsy report. 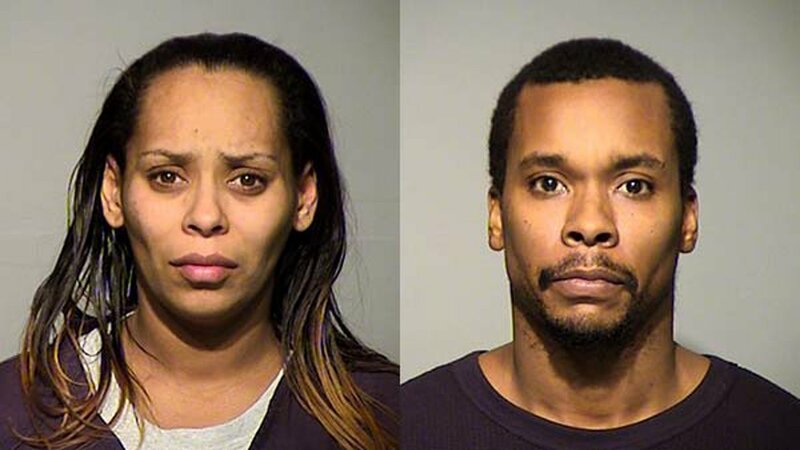 The toddler's parents, Darrell Woodson, 35, and Margarita Balderas, 34, are charged with second-degree reckless homicide in Milwaukee County Circuit Court. According to the complaint, Woodson told investigators that days before their daughter's death a bottle of prescribed oxycodone had spilled in a bedroom, but that he and Balderas were confident they had picked up all the pills. Milwaukee detectives learned last month that Balderas' older children, including a 14-year-old girl, had been placed in foster care and were talking about Woodson and Balderas' drug use at the time of London's death. Specialists from the Child Advocacy Center interviewed the children. The 14-year-old girl said Woodson and her mother would break off pieces of prescription pills and give them to London in order to get her to sleep, the complaint said. The girl also said the two would give her and her siblings "street medicine" if they were too hyper or needed to go to sleep, according to prosecutors.